Cardinal Burke: Stupid or Disoriented? Cardinal Burke has given a statement to the Dignitatis Humanae Institute with the intent of clarifying certain of the comments that were attributed to him in a recent interview with BuzzFeed News. The headline of the DHI posting maintains that the BuzzFeed quote above is a “major misrepresentation” of Cardinal Burke’s actual words. Why Cardinal Burke now feels compelled to split rhetorical hairs in order to create distance between himself and the plain meaning of his very own words is unknown to me, but let’s not kid one another; that is precisely what he is doing. BuzzFeed News: To the question of how that’s being done, presumably the pope was the one who asked Cardinal Kasper to frame the synod. Are you saying that [the pope] is the one who is manipulating these proceedings? Cardinal Burke: The pope has never said openly what his position is on the matter and people conjecture that because of the fact that he asked Cardinal Kasper — who was well known to have these views for many, many years — to speak to the cardinals and has permitted Cardinal Kasper to publish his presentation in five different languages and to travel around advancing his position on the matter, and then even recently to publicly claim that he’s speaking for the pope and there’s no correction of this. BuzzFeed News: Would it be inappropriate for the pope to do that? To structure the conversation in such a way that it is consistent with his thinking? Cardinal Burke: According to my understanding of the church’s teaching and discipline, no it wouldn’t be correct. Is it a “major misrepresentation” to say that Cardinal said that the pope has done a lot of harm? Imagine a married man who refuses to tell his wife whether or not he loves her even in the midst of a terrible marital crisis wherein the poor wife is consumed with doubt as to her husband’s affections. Needless to say, the crisis, such as it is, would effectively be put to rest if only the calculating, untrustworthy twerp would simply man up and openly declare where he stands. According to the dictates of Cardinal Burke’s post-interview spin job, it would be wrong in this case to attribute the damage being inflicted upon the marriage to the husband, because technically it isn’t really he whose to blame but rather his childish unwillingness to behave like a real man. If you buy into that line of argument, or Cardinal Burke’s “clarification,” I’m sorry, but your stupidity is likely terminal and I can do nothing for you. Now let’s take a closer look at the second part of the selected quotes from the interview transcript provided above, which is arguably even more telling than the first. This is very telling indeed. For example, if Pope St. Pius X had convened a meeting of bishops to discuss matters of importance for the Church and took deliberate steps to see to it that their conversation was ordered according to his thinking, such would be not only entirely appropriate; it would be a great blessing for the Church and an effective exercise of his papal duties. We can say this because we know very well that the thinking of this true Saint of Holy Church was entirely in step with the mind of the Church as it relates to teaching and discipline. No brainer, right? So, how is it that Cardinal Burke can contend the exact opposite in the case of Pope Francis? The answer is simple; he like everyone else with a pulse knows damned well that the current Bishop of Rome does not think and feel with the Holy Catholic Church on any number of matters, including those under discussion at the most recent Synod of Bishops. Well, since Cardinal Burke is far from stupid, in spite of his patently ludicrous attempt to explain away the plain meaning of his words, it seems entirely clear that His Eminence, for all of his good points, is also infected with the diabolical disorientation of which Our Lady warned. The problem at hand in the Church today is first and foremost spiritual. There is no one, and I mean absolutely no one in Rome capable of fixing this mess other than a pope, current or future, who is willing to do as Our Lady of Fatima requested. Only she can cure the terrible illness that currently afflicts us. I never put my hopes on Card Burke. For the simple reason that he considers JPII a saint. Regardless of any personal merits and virtues which Card Burke may have, if you believe such an incredibly ridiculous and anti-catholic idea, you are part of the problem, not part of the solution. Your comment is exquisite, thank you for it & quite honestly, I wish I’d had the guts to say it. 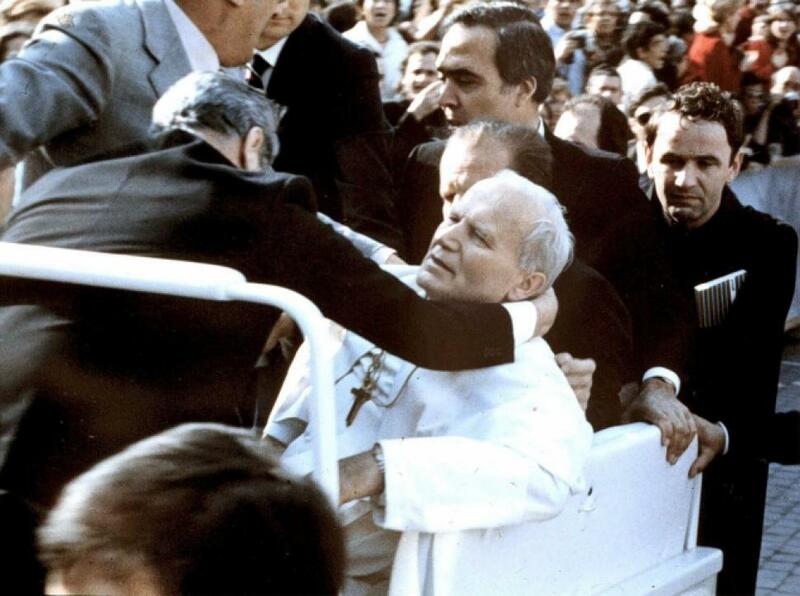 Muller went out of his way to deny a story that he had refused to greet the Pope after the beatification of Paul VI. Pell gave a speech where he praised the Pope but did it in a way that could also be perceived as criticism. Finally, we have Burkes statement which is the subject of Louie’s post. Putting it all together, I think there was a real chance of a schism during this pivotal meeting with Pope Benedict. But since Benedict rebuffed them, they feel they need to fall in line for now. Actually I do not see how the clarification took anything back. To say that the inaction of someone harmed the Church. ARE GRAMMATICALLY different, but SIGNIFY the same truth. If Cardinal Burke wants to use different grammar to represent what he said, nevertheless he has not taken back what he said, even if he thinks he has. The reason, I believe, is that the Pope is red hot mad that he said the truth. The whole world knows that the Pope was behind 100% what Kasper and Forte did and were trying to do, and in never denying that that he is still 100% behind it. Even his post synodal persecutions of Catholic Bishops and faithful in Albenga and now Albano confirm that the war is on. Even the statements of many other bishops the world over make it clear that there is now open war among the bishops over the Faith. First of all, Louie, that was a low blow to top this post with that picture. There were opportunities for these Bishops to share a smile, or even a laugh, for a picture! So that means Card. Burke is in bed with Card. Dolan? That’s a cheap shot. Second don’t forget Card. Burke is a cannon lawyer. Words mean a lot. I think we are reading ‘cave-in’ here when he simply wanted to be totally clear. His intent was to shoot a cannon ball across Francis bow, but not to overtly criticize him. This is clear because he admits we do NOT know Francis mind – as he has not spoken. I don’t think it’s disingenuous to speak this way. You can say that ‘silence is harmful’. You can say, ‘gee, I wish he would speak.’ or ‘it would be better if we knew his mind’ but this cardinal is never going to openly criticize the Pope. The most important reason is simply that Card. Burke is not willing to attempt to read the Pope’s mind. He went as far as he could. We have to remember it’s early days. Plenty of time to jump all over Cardinal Burke if he bails when it counts. Give the poor man a chance! He literally has no place from which to speak. It’s going to be very tricky for him to issue statements. And it’s totally merciless to suggest he’s anything but the same holy Cardinal Burke we all thought he was LAST WEEK. I have to ask: Who, last week, was proclaiming Burke (or “i dont even know if anyone is in hell” Pell, for that matter) to be holy? You werent actually fooled by these men, were you? I dont think that pic was a low blow….as a police officer, id possibly be fired if I took a similar photo with a known felon. Talk is cheap–Put your money where your mouth is, Your Excellency!!! Make an announcement that you’re leaving for higher ground–Tradition through and through!! Most likely, Cardinal Burke is coming under pressure to fudge the clear and rational (and long overdue) criticism of the Pope. The original report fairly represented what the Cardinal said. St John Vianney, St John the Baptist, pray for us. People! Wake up! 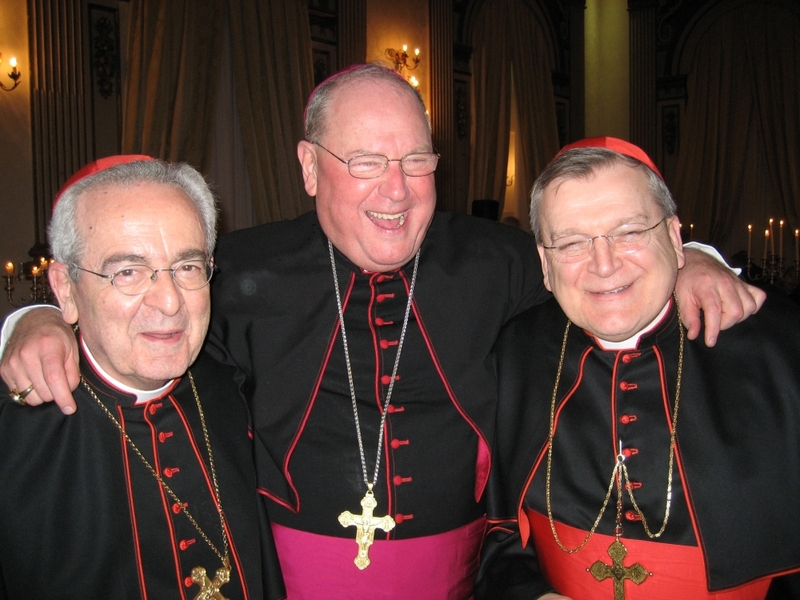 Cardinals Pell, Burke and Mueller are the best we’ve got. The Church is in grave distress and you’re bickering about whether Cardinal Burke endorses the sainthood of JPII? As someone I admire said, Churchill was a walking drunk at times, but he was the man for the hour and was indeed a lion who rose to the task at hand. Your pettiness, your lack of appreciation for what is at stake and your criticism of Cardinal Burke are very frightening, indeed. What you must do is let these brave cardinals know you are behind them instead of acting like a bunch of prigs. What is even the point, if best case scenario is having a slightly lesser heretical “Church”? They tell me Pell is in favour of euthanasia for terminally ill patients. Who can be so wretched as to embrace such evil? The point is, this “game” the devil is playing is winner-take-all. Being a liar from the beginning, he is delirious right now, thinking he’s won. The point is the salvation of all the souls who will believe in Him, and be grateful for what He did for us. the Devil knows very well he cannot win, as he understands better than us the omnipotence of God. According to reputable exorcists, Satan and his legions’ goal is to simply drag with them into the Pit as many souls as they can, in the most efficient manner, before Judgement. And obviously the best way to do that is leading people away from sound doctrine. The point is indeed the Salvation of souls, and it is precisely because of that there’s no difference between a Francis or a “Pell” (let it be known I do not know the man, he may very well be not what they say he is, as I haven’t had the time to check). You all should read Satis Cognitum, as it contains priceless wisdom (not to mention infallible doctrine!) dealing with these very situations. Sorry we put our response to you where we did, if it gave you the impression we were arguing for Pell. We don’t know much about him either, yet, and so weren’t intending to defend him. Regarding the Devil, we’ve heard it both ways over the years, and tended to go with the idea that he lives “in the moment” at least feeling victorious when souls do things his way. Not having read anywhere near as much as it sounds like you have about exorcists, we’ll take your word for it on that aspect. They should know. The point we were trying to emphasize was that there is no reason to lose Faith in the Church that Jesus founded and remains with–despite heretics and heresy. And we agree that even one deviation from the Truth is all it takes. All heretics should be ousted. But until they are, we need to hold on and keep seeking and speaking the Truth in love. We also need to genuinely keep hope alive for these apparently lost souls–especially those in the hierarchy who will have more to answer for before God some day. You sounded rather perturbed up above, and we were trying to help remind you and everyone of us, what this is really all about–the Loving God Who made us, and gave us salvation through the Church. When Jesus comes again, the Scriptures ask, “will he find any faith on the earth”? What a thought-provoking question that is. To us it signifies that times will be every bit as confusing and evil as those we are living through right now, and that faith will be a tough thing to hang on to. We can’t think of a better reason for that kind of chaos, than confusion at the top of the hierarchy, such as we have now. So it’s vital we recall Jesus’ words, and continually prepare ourselves and all others possible, for His second coming. Not that we presume it’s tonight. But you never know. more than refuting you or contradict you, I was trying to add to your beautiful comment. And about Satan being truly aware of not of the inevitable outcome..
my personal opinion is that while yes, he cannot not realise that, it is possible, if not probable, his Pride, and hate blind him and leads him to act as if he could win. He’s also omniscient, and therefore not aware of when things will come to pass and the details. For all intents and purposes though, the distinctions don’t matter, and even if a mortal mind during his brief sojourn on this world, could filter through all the lies and somehow grasp his true intent, would it really change anything? Assuming from context you meant to write he’s also NOT also omniscient, we agree. What matters is that people know they are up against creature/s with superior powers, bent on the damnation of souls, with an intensity rarely seen in their adversaries, which makes it imperative to call on God for help and strive diligently to live holier lives, battling our own weaknesses, and spreading these truths for the good of all. We saw a political analysis recently which attributed the decline in the quality of the U.S. government to overall lack of education, apathy, internet addiction, and widespread obsession with narcissistic pleasure- seeking, all of which lead to ignorant voting and the election of bad leaders. That not only reminds us of the old Communist checklist for the non-violent conquering of the West, but mirrors the devil’s plan of attack on the Faith and the Church from within. While we don’t “vote” for our Church leaders, we home-grow them in whatever society we tolerate all around us. Granted there are “workers in the vineyard” and always have been. But they really are “few”. Jesus’ solution to that, was prayer. And His example of personal action was laboring day and night in Truth and Love, to the point of exhaustion. We often fall short, but at least we know where we can still find “refreshment”. And it’s nice to be blessed with meeting, sometimes helping, other times being helped, by others who also seek to live by Truth. Sorry yes, I meant NOT omniscient obviously. In fact he wasn’t aware of the true nature of Jesus when he tempted him in the desert, at least I think so and was taught so. Yes, we have the example of Jesus Himself to look up to, but also that of the Apostles and early centuries-christians, who operated in an equally dangerous (probably much more so) world. While they had the precious help from the Church, let us not forget it wasn’t a well organised, visible, powerful institution yet, and many communities were utterly isolated for varied lenghts of time. About society influencing individuals in the Church. Yes most are simply “children of their times” and there it is a two way street, with reciprocal influences from them to the flock and viceversa (but also the world at large). But here lies the crux of the issue. All of this is the result of the Church itself failing to act, as She is supposed to, not only independentely but also very much AGAINST the world. It is precisely because of the potential for no-quarter resistance that Her enemies opted to infiltrate Her and devour Her from within, instead of facing Her head-on like they used to do (think of the Illuministic Revolutionaries movements or Monarchies such as the English one or Italian one in the XVI and XIX century respectively, or the URSS). Even if they could crush Her, as long as there were people (especially one sitting on St.Peter’s chair) proclaiming the Truth, they couldn’t win. Sadly, it seems, as you say, there’s very few of them left. Amen. And let us not forget what God taught us about strength not always being in numbers, though Gideon’s experience of having to reduce his army to what seemed an absurdly small number, 300, in order to demonstrate the Power of God against apparently insurmountable odds. (We always get a chuckle out of the way he was told to send them down to the river to get a drink, and choose only the ones who lapped the water with their hands rather than those who stuck their whole heads in. The footnote says: they that lapped water with their hands were preferred to those whose behavior argued a more eager and sensual disposition. -So God sifts out the impulsive, over-emotional, non-self-controlled servants, when it comes to the heaviest fighting. There’s a goal for which we should all be striving, no? Now will somebody please tell the Pope? If they HAD been truly brave, maybe we wouldnt be where we are today. I dont think Louie is being petty at all, nor are those on this board who are not enamored with these men because they spoke out a bit against the pope (as they should have BEEN doing). Where were they for the last year and a half? If they are the best we’ve got then we are in as much trouble as we thought we were. Maybe this is the START of their return to the Faith….i doubt it but we’ll see. If i obey 9 commandments but adamantly disobey one, what’s the point? Whom else is there to turn to if not Burke, Pell and Mueller? Get a grip! You get a grip, yours are dangerous and serpentine words..
Is this what happens here when we disagree? Mercy? Love? More “lack of charity” nonsense? You are exhorting people to embrace compromise,corruption,error and ultimately evil, and I’m just stating said fact. Akita, you make some good points. A while back Michael Voris was asking for Cardinal Dolan to resign. To be replaced by whom? The state of his diocese is appalling. We don’t like Cardinal Burke anymore because he’s turned out to have feet of clay. So who’s better? Cardinal Pell has pretty shaky beliefs on some basic Catholic teachings, like the truths in the Bible. Let’s get rid of him too. We have to be realistic. We are chopping off the limb we’re sitting on. We are not going to find replacements for any of ‘the good guys’ if we insist that anyone who’s on our side be perfect. Dolan, and Cupich, and Kasper, and Marx, and many others will have to go but we’ll have to wait for that victory. We’ve identified the problem: bad priests, rotten Bishops, evil Cardinals, and a disaster/chastisement for a Pope. So now what? We simply have to work with what we have that is good, and I submit Pell and Burke, and Napier, and maybe a dozen others are it. Question: who’s going to approach his parish priest tomorrow and say: ya know, you’re not going a very good job of teaching and helping us get to heaven. You’ve got to spruce up by the New Year or we’re going to make some changes on our own. Believe me, I’m just as sick at heart and disgusted with the state of our Church as any of you out there. But for heaven sakes we can’t just keep jumping from horror to horror, to scandal to scandal. We’ve got a year to work. Any suggestions of concrete action? What a sad time it is: as opposed to the person who will kill you in the course of robbing you, we’ll settle for the man who will simply punch you in the face before he takes your money. And the problem with that is….? If we’re only given 2 choices, what’s wrong with the better outcome? We’d all obviously take the 2nd choice, but in terms of salvation we have to be fully committed. Pell and his V2 buddies will not get you where you need to be. Given by whom? You yourself! Do you want Beelzebub or Baal? Neither, thank you very much. ” Cardinal Pell has pretty shaky beliefs on some basic Catholic teachings, like the truths in the Bible. Let’s get rid of him too.” and others on this blog have accused him of being pro-euthanasia. If any of that is true, then no one should be suggesting he be tolerated, much less counted on as an ally in this battle for the Church. We should pray for his conversion, and realize that at present his beliefs make Him the enemy. We haven’t heard any similar talk of Burke, just speculation that that he got where he is by compromising, which is odd since the bio-information we’ve read on him always seems to mention how straight-laced he is, and how unusual that is for a Cardinal. How will Cardinal Pell ever lead a soul to Heaven? Im just wondering why we should give this disgrace of a Cardinal any credence? BTW…i love Mundabor and read him daily but I think he’s a bit off base here. You’re right Mike! Thanks for the reminder. Well, Mundabor is completely wrong, for many reasons, but I will just quickly highlight some incongruities in his reasoning. 1)What the Church did relating to secular powers has absolutely no bearing on the issue. We are not dealing with an external, non catholic player but the Church itself and members of it, here She never approved of, or promoted, heretics to further Her goals. And, as said in many papal documents, including Satis Cognitum cited above, the promotion of heresy, even one single article, is extremely dangerous both for the general good, and the persons involved. Yes, even you. Secondly, religious freedom is a Condemned practice in Pius IX Syllabus of errors. Bringing it up as a POSITIVE example of compromise is embarassing. Third, about the examples hyperbolically citing death as the maximum negative outcome… this is truly bizarre. Not only corporal death isn’t negative per se, in Catholicism, but also it was actually the choice of countless martyrs in order NOT to compromise! Fourth, about the examples from Roman times… again, just bizarre. Christians were persecuted and killed in the hundreds of thousands except for… those who compromised, the incense burners, who thought that a little offering to pagan gods here and there didn’t amount to much relatively to their “gain” of being able to live quietly and worship Christ in secret. Of course the two things are incompatible, and they were damned. Fifth, the example of abortion. It is formulated wrongly. A correct analogy would be for you to work at/together with/supporting the least worse Abortion agency against another. The one with the best treatments, most morals etc, so you can save “some” babies (but at the same time being responsible of the murder of many more). Now, is that Catholic? Why criticize Mundabor, if you are as you say, a non-Christian Jew? Repent and believe, or have the respect not to flaunt your hypocrisy in this forum. Don’t you see that you are living a double life, and merit eternal damnation by your duplicity of heart and mind and pen? Your insanity is getting tiring. Maybe I should have picked “Latin Guardian” or some other nonsensical nickname. You’d now be happy and silent. Do you truly think that a troll, when found out by your “astute” research, wouldn’t simply just make a new profile (it takes 1 minute) and keep on working on the blog without you or anyone else ever suspecting a thing? -When he began posing here, we had a conversation with him in which, if memory serves, he stated he’d been Baptized Catholic, and remains a believing Catholic-though at the time not attending N.O. Churches. while searching for answers to his questions. We urged him to Confess his sins and attend WHILE he was searching. So would you be kind enough to explain why you continue to insist he has claimed otherwise and is therefore, living a double life? Some of the names people choose who post here, are rather odd, we’ve notice. And since it’s impossible to know who is behind them, why not just deal with the ideas they present on a case by case basis, or ignore them? -We mean no offense to you and are just trying to understand, and help. -after that, he even theorised I was a freemason residing in Rome who is pretending to be a jew pretending to be a catholic. Or maybe the other way around, because he since then has only stopped by from time to time to “remind” the readers I am a “Christ-denying jew”. We recalled most of what you listed here as well, and none of it explains why you are being addressed as if you had admitted Roman’s charges, which is why we still hope he will address that question. We value his, all the opinions we read here, because whether we agree or not, they lead us to the truth– Those that sound questionable we research further, giving us greater understanding of the differing sides of issues, and how they agree or contradict Church teaching. Certainly there are risks for anyone on the internet, but we agree with Louie’s thinking-that diversity of ideas should be allowed to some extent. And since we cannot know who really is posting, we should refrain from personal accusations such as these, and get on with the thinking and talking about the ideas presented. (paraphrasing Louie greatly, of course). I think I know why he thinks I admitted to that. I recall him asking me if I even believed in Christ or somesuch in the midst of his verbal offensive, and I refused to even answer him. I take it he took it as an “admission of guilt” on my part. I admit it might have been an error on my part, but I was feeling somewhat insulted by the falsities and the sheer arrogance displayed. I’m not shy of talking straight and even sometimes in a manner which might be considered “offensive” and “uncharitable” in this day and age, but frankly thinking oneself some sort of Web Inquisition against anonymous posters on a forum is a bit too much. Understood. This being an anonymous forum, we have no such authority over one another- to make demands or give verbal ultimatums. Only Louie decides who stays and who goes. So even though we live and breathe the Faith, we’d likely react to that kind of thing exactly as you did, leaving our conversations here to demonstrate who we are, for what it’s worth. No one should pretend to be able to do more than that, through bullying demands which accomplish only the humiliation of the accused, who, if in fact a deceiver, would then only be induced to further sin. Not a thing… and… Tar, feathers, and broomsticks on the way out of Rome. Fair to say reality lies somewhere in-between? We all know you’d be justified in asking for a retraction and clarification, on the grounds that you didn’t write those words about Burke, but merely used them in an analogy about a married man, to make a related point about using the intellect to determine reasonable likelihoods. But we also have reason to think you might really have been thinking those things about him at writing-time, and if so, it wouldn’t be really honest for you to have it corrected,– yet understandable to avoid the appearance of slander. If you went ahead and split those hairs to make the “Times” understand, we wouldn’t say you must be “diabolically disoriented”, any more than we’d now say Burke must be. It’s not about hero-worship. We just appreciate the few who speak truth about the teachings of the Church. So Berto, if I read you correctly you are saying Cardinal Burke is evil, corrupt, and a compromiser with Truth. Sheesh. Wonder what you really think about St. Peter. No Cardinal is perfect or ever was but Burke is the best alive right now. I understand if you are Sedevacantist there will be no reaching you. Cardinal Burke is, at the very least, a compromiser. Why do we, as laymen, know the truth but for some crazy reason give the supposed princes of the Church a pass when they are obviously in error? Dont be lukewarm. Those who need to be brought to the Faith by lies were never meant to be there to begin with. This idea that we can bring people to the True Faith by not preaching the whole Truth of the Faith (and then letting them know the real deal afterwards) is insanity. Cardinal Burke is a “compromiser”. Do you mean on teachings? If so, please explain -even one instance. We’re not refuting just asking, as up until tonight we’d heard only good things about him on all fronts. We did notice that like MV he carefully chose his words regarding the Pope, but never heard tell of anything he believes that is contrary to Church teaching. So is there something? personally I have no idea who Burke or Pell or the other guy are, past what I’ve read on articles here and there. I’m speaking in general about what a Catholic *should* do regarding hypothetical clerics who do not uphold the Faith whole and inviolate, citing common sense, history and Satis Cognitum. I don’t know what Sedevacantism has to do with this. both Mundabor and many of you show a complete lack of grasp of the Divine nature of the Church, Faith, Life (and the crisis at hand if I may add). As I said other times, you seem to reason as if the Church was a political party, or political system, existing only in the here and now, on this Earth. An institution which may depend on us supporting flawed, maybe even heretical characters for its survival. Wait, I thought the Gates of Hades couldn’t prevail? Faith intended as something which could be compromised.. if we won’t compromise and be realist. Life understood as not only purely physical existence, but also western, comfortable, “free” in a Illuministic sense. But remember way back to the Arian heresy? The structure of the Church was kept intact even though most of the bishops were not correct. When the Almighty and Everlasting God brought Truth once more to the Church everyone just picked up where they had left off. But during the whole time priests were still saying Mass, hearing confessions, and teaching and preaching. YES, I get it that they were in actual heresy. But if Athanasius and others had decided they could not ‘work’ with these guys, that they all had to resign before the truth could be brought back there would have been a real mess. So we’ve simply got to work with what we have. But the point is Athanasius was not a heretic. It is precisely by tolerating the Arian heresy in many of the clerics that things could get so out of hand and virtually entrap the whole Church. Remember, at the time there were even graver and most disrupting heresies running around,and Arianism was seen virtually by all as a relatively harmless “compromise”. What exactly do you mean by “work with” them? Many of these posts talk about them being “out” or ‘in” as if we, the laity have any power to remove heretical members of the hierarchy. We have only our prayers to God and the Church- Triumphant and Suffering, and our eartly cries of “foul” which we do have the power and duty to raise against all falsehood in the world and especially in the Church Militant. When a brother has not taken correction and it becomes generally known, a cry from the laity may not be heeded and acted upon immediately, but it is a light that pierces the darkness, and as more and more voices are joined as one, that light becomes brighter and travels farther until it is impossible to ignore. So if by “work with” them, you mean tolerate their errors in relative silence so as not to drive them away or make enemies of them because we “need” them as allies. We strongly disagree. The past 50 years of that experiment failed so miserably that the majority of our relatives have been lured to the wrong path. BUT I HAVE AGAINST THEE A FEW THINGS : because THOU SUFFEREST THE woman JEZEBEL, who calleth herself a prophetess, TO TEACH AND TO SEDUCE MY SERVANTS… to commit fornication, and to eat of things sacrificed to idols. And I gave her a time that she might do penance, and she will not repent of her fornication. Behold, I will ..
-cast her into a bed: and they that commit adultery with her shall be in very great tribulation, except they do penance from their deeds. - And I will kill her children with death..”. God knows the corruptive power of false teachings, and holds it against us when, as a community we tolerate them in our midst. Even one Heresy is a deadly poisin, –like one active case of Ebola not in quarantine, it multiplies exponentially, unseen until it manifests as general corruption. yes, it may well come soon a time when, just like the early christian, men will come and ask us to choose between Christ and Caesar (like Steve Ray says in his presentations). The question is simply, what will each of us choose? On the subject of being realistic and practical versus “Catholic dreams” as Mundabor says. Us being able to avert, as mere men and in virtue of our human nature and rationality what is looming ahead and save the Body of Christ, defeat Satan or simply accept the situation and try to behave, as individuals, as best as possible, humbly aware we may be asked to pay the ultimate price? Wich one is the “catholic dream” and which one is the realist, pragmatic scenario, again? then simply treated the problem as an Unthought. This is psychotic behaviour, and someone should say so: someone whose voice counts for something. In a less authoritarian Church, that would have happened. The Popes need to take the 12-Step Programme. Their solipsistic refusal to admit that their 1960s hippy-dippy 3-Year Plan was an abject flop is harming the rest of us, and leaving the coyote with ever less room to put things right. If they are so powerless – as Benedict XVI allegedly was – why have them ? ## I’m not a logician, but they are two different statements. And they do not mean the same thing. Not a misrepresentation, but a mistaken inference. The entire interview gives a clearer picture of what Burke said about the matter, just before commenting about the harm done by the lack of clarification. [paraphrasing] He spoke of the Pope knowing what Kasper has believed for many years, calling Kasper in to talk to the Synod; then Kasper going around promoting his own views before the Synod while saying he was speaking also for the Pope; and finally the fact that the Pope neither stopped him from doing that nor denied the claims. Then Burke said that the lack of clarification was causing harm. After all that, even though Burke clearly didn’t want to say it flat-out, it’s not surprising the reporter believed he was writing the truth that Burke thought the Pope was the cause of the harm. Burke had a right to insist on exactness, and obviously a reason for wanting to speak in a round-about way. ## No. It would be inappropriate even for a Saint to do so, because Synods are not convoked for the purpose of hearing the Pope’s own limited wisdom parroted back at him. Saints, even if Popes, are not all-wise, nor are they perfectly informed on all matters that affect the life of the Church. They are not the only bishops in the Church, but are the supreme bishops only. So no matter how orthodox they may be, they need to hear what their brethren in the episcopate say, for these are not less truly bishops & successors of the Apostles than are the Popes. The universality of the Church is a very good reason why Popes in synod should give the utmost possible liberty to their brother-bishops to say whatever needs saying – for, whether welcome or unwelcome, it may be what the Popes & the other bishops need to hear. Besides, one of the necessities of an Ecumenical Council is that it be free; so it is very appropriate that councils of lesser dignity be free, and for the same reason. If a Pope wants to have his own limited insights, which may not be altogether wise or prudent, parroted back at him, why call a Synod in the first place ? But Jimmy, this is the fatal flaw! 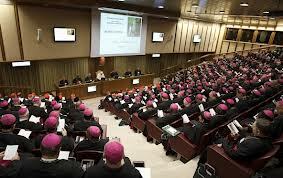 This synod business has morphed into the Pope not LEADING as he is mandated to do. His job is to maintain the Faith no matter the time or place. What he should have done was simply ask the Bishops to help him frame the Faith in a way that will help modern man to understand it. Instead we have a Pope who does not think the Faith must be preserved but made to speak a different truth for a different time. Vital difference. Now, of course, when we find the Pope is an evolutionist we can see clearly the process: all is moving forward so we need to help sinners ‘evolve’ into non-sinners. They have the potential to be holy and if we walk with them long enough (evolution) they will morph into non-sinners. This is nonsense. The sinner must ACT, must move from one spot to another, from sin right into non-sin in one ACT. The potential goes nowhere without the act. When I read the latest ravings about evolution it all became clear. Munabor speaks to commentators of the “Harvesting the Fruits” blog. I agree with Mundabor 100%. With respect to those who disagree, two reasons might come to mind: one unintentional and one intentional. First, the unintentional case is one of individual”disorientation”. A perfect example of this situation was the 1980 Reagan campaign. The leftists created a strategy based around the euphemism “litmus test”. And they kept on going around to Reagan’s “big tent” constituencies asking them how they stacked up against the “litmus test”. The “litmus test” strategy was created to play different constituencies off against each other. Now, there was no “litmus test” per se, aside from sound common sense. The voters, to their credit did not fall for the “litmus test” strategy, and the rest, like they say, is history. “Thank God every day instead,and pray Him every night, for the likes of Mueller, Pell, or Burke. Pray that God send us many more of them, and be they of the V II garden variety, provided they are willing to fight against the extreme Francis variety. Pray FIRST that they may find the strenght to lead us in battle against the extremely strong army of Satan that is forming its ranks as we speak. And pray SECOND that when the battle at hand is won, a new awareness may be created about the real root and first cause of all this mess: Vatican II. Did you, by any chance skip reading # 11 above? Yes, I read your most excellent post. I was just trying to add more context to it. 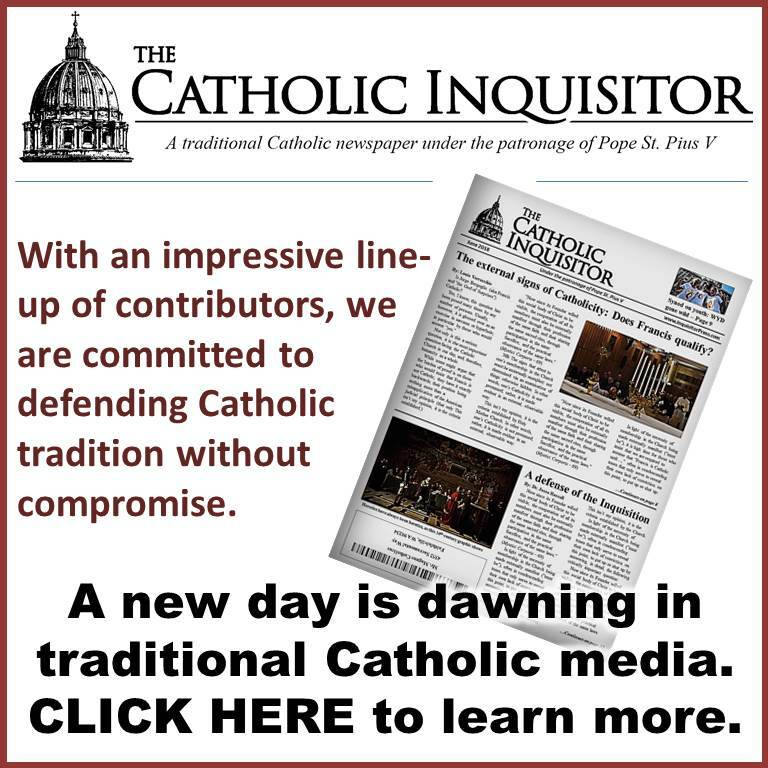 This “infighting inside the Catholic camp” is the most important problem that we as Catholics have to overcome. And this is where the evil one works most of his damage. What I was attempting to do is to get our side to start thinking about whether a comment they read is “sincere” or where there is a hidden agenda at work. For example, when we read something from someone from the SV camp, we can expect that that person will be always critical. However, this criticism does in no way affect the general atmosphere of what is transpiring in the wider church. And it is a feel for that wider… let’s call it the “spirit of renewal” is what I try to discern. Furthermore, this approach to.. say we call it “literary criticism” would go a long way in lifting the proverbial “fog of war” when reading someones post or comments on blogs in response to a post. Honestly, from my perspective I have no qualm in this, and also have explained the psychological elements behind the need for self-delusion and compromise in other posts. What I see, is desperate, exhausted souls who’ll cling to any ray of hope they can find. Speaking of hidden agendas.. it is clear what the dark forces are playing at here… Frighten the faithful so much with Francis&the psychedelic dogs they will come to see the more moderate, presentable yet equally as heretical likes of “the Pell” as salvific anchors, therefore obtaining the final result of an ever wider and firmer acceptance of ERROR. I got an italian expression too, “meglio di un calcio in bocca” “better than a kick in the mouth”.. which is used to refere to a negative outcome, but still better than a worse one. Thanks for your comments and contributions to this post. It is indeed a cogent, reasonable voice among a mass of emotionally-induced non-sensical diatribes. It is a sad state of affairs that so many people pay attention to the self-proclaimed interpreter of tradition, Mundabor. It is with good reason that I initially suggested to Louie he never include his site on the right-hand links. What we have is a desperate group of traditional catholics clinging to any straw of hope they can find, which as you suggests, eventually leads to a firmer acceptance of error. I have seen exactly the same thing play out since the “canonization” of JP II. Whereas up until then, pretty much all trads were in agreement at the heteredoxy of this man, and how incredibly harmful his papacy was to the church, ever since the sin-od I have noticed an increasing number of faithful catholics extol the “virtues” and “orthodoxy” of JP II, simply because he was less heretical and had a greater respect for the moral law than Francis. But I believe the end result will be the slow, insidious acceptance of JP II’s errors (ecumenism, theology of the body, etc etc) of those heretofore faithful catholics. We agree, and this JPII “worship” has been grating on us more and more. As we raised our family during his Pontificate, starting in a state of relative ignorance about what was happening in the Church, we watched him scandalize the faithful more and more- with prayer fests with pagans in Assisi ;photo ops of him being signed on the forehead with the mark of Shiva and Kissing the Koran.-all .while heretics like Curran and McBrien ran Catholic U. and Notre Dame into the mud — trashing Church teaching and becoming more and more popular by the minute, because they were left there by Rome to continue all those years, and prelates like Weakland and his cohort Bernarin in Chicago- whom history records as having “well-earned reputation for compromise and conciliation” best known as the “seamless garment” guy–which translated to “all issues are morally equal in gravity, so don’t bother not voting for those who support abortion and homosexuality”. .
We tried not to hold JPII personally responsible for the dissenters who we figured wouldn’t have listened to him if he had put a major effort into it, but seeing the results in the Church and so many lost souls who latched on to the ideas of those he left in power, we still have the urge to give him a tongue lashing if and when we get to heaven and find him there as declared. He did end up as Our Lady predicted -having much to suffer. God is the final judge. Thanks for the clarification, as well as the kindness of reading our posts. It’s a worthy effort to promote peacemaking here, and more helpful and practical we think, to point out that we benefit greatly, sometimes most, from sharing ideas with those who oppose our own.. We’ve often found it frustrating when several posters jump in to stop an ongoing “catfight” just when the conversation is getting to the heart of the matter. But we tend to ignore the heated words and focus on the content, longer than most, and it’s a legit beef that it can make Louie’s blog unappealing to others when it gets nasty. Our hope is that the controversies continue to get discussed-even with passion, until we all have nothing left to argue about, having found the Truth about each matter, and “clamped our brains down around it as we were meant to do” as Pat Buchanan used to say. So God bless your efforts in this regard. In conjuncture with the above post, this one is one for the “what we are fighting for” category. Let’s reduce the above to the basic essentials. The take away is that these “quasi-amazing” seminarians are the bishops, cardinals, and shall I dare to say popes of the next generations. Futhermore, Joseph Shaw had some great posts over at the LMS Chairman blog with respect to the disorientation of the Catholics as opposed to the modernists. Hope this serves as some food for thought! What a slimy horror that man appears to be. Here’s Paul VI saying something beautiful and true about the Septuagesima Season, but causing ‘disagreement’ – and of course he was shouted down. Again, here’s a very telling statement: ‘the view prevailed that there should be a simplification’. Why? And again, telling: the need was seen to ‘restore Lent to its full importance’ What was that need? And why couldn’t that be accomplished by perhaps teaching, instead of wrecking the whole season? This kind of sneaky language is all we hear today. There is a perceived need which is nowhere to be found. Then various options are proposed. Presto! The easiest option is chosen. It’s all there at Vatican II. The words are so plain! We thank you, Dear God, for the information age so we can reveal the evil done at Vatican II, and through the resulting documents and evil practices. Oh, Jesus of Nazareth, that we may see! John Vennari has just posted an interesting article on the new modernist approach called the inductive method vs the traditional Catholic true approach called the deductive method. This inductive method is precisely what I spoke of in an earlier comment. The inductive method which is currently being used by the modernists in the Sunod is the same approach that was used in To reach the betrayal of sexual purity found in Humanae Vitae in regars to the contraceptive mentality. 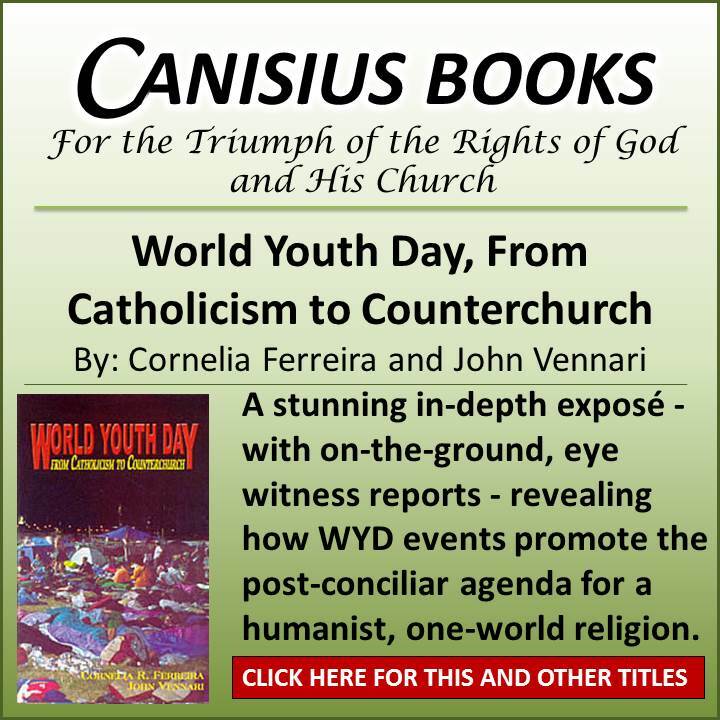 Both the Synod and PaulVI began with surveying what the people were practising and what they desired in order to justify their already determined angenda to compromise truth. PaulVI gave into contraception by endorsing NFP and I beleive Francis will give in in the same way by saying he has decided to not do away with the tribunal system, and this is where we are all supposed to sigh in relief, and then he will procede to announce that he will just modify tribunal system by making it an option for those in really, really complicated unions to be allowed to make it a private affair between the person seeking acceptance of their complicated union and their bishop or priest. Which,by the way, is probably what has been going on for a while now. So why, one might ask, all this effort to bring it to an open Synod when they are already practising what they are going to publically impliment next year. Because Satan is not happy until he has utterly destroyed the Church and sinners, like the Sodomites, after all,need to be welcomed and confirmed in their sin. thanks for the heads-up re the Vennari piece, Anastasia. The evolutionary mindset is very clear as described by John Vennari. Deductive and inductive reasoning have their appropriate uses. What is being used here is not reasoning at all. It is seeking to retrospectively give the illusion of justication/authority for something evil that the relevant prelates have been endorsing and facilitating due to their opposition to God and His Commandments. Time to throw in the monkey wrench. The photo Louie has used is extremely apropos. Cardinal Burke is not the man you all want to believe he is. You are now seeing publicly what he has been doing privately for years: acting one way in public to his financial base and another in private as the true compromiser he is. Why is he not the man you think he is? Simple: from personal knowledge and experience, we know he has helped two frauds defrock the last nun of the order of the Contemplative Sisters of the Indwelling Trinity. This is the order of the visionary known as Sister Millie, who died in 2000, after receiving many messages from Jesus and Mary, in which Mary describes Herself as Our Lady of America (http://ourladyofamerica.com/). In assisting these two cronies of his, the whole purpose has been to allow these two men to hijack the devotion for personal financial gain once the devotion is approved (which Burke has already publicly backed while ignoring Sister Joseph Therese, the nun who is acting upon the visionary’s dying requests which, if one believes, come from the Blessed Virgin Herself). Many ask why is America so bad off? 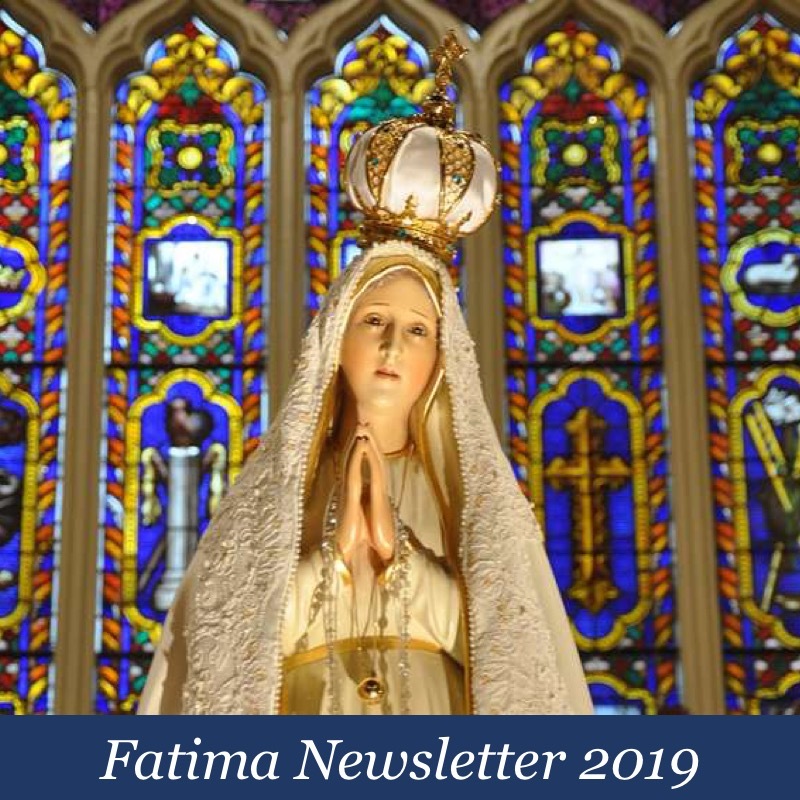 Because, just like at Fatima, the Queen of Heaven’s requests to the hierarchy of America have not been heeded (to enthrone Her as Our Lady of America in Her Basilica in Washington, D.C.). But Burke and his henchmen easily see a pot of gold in what many call the Lourdes of America and are willing to destroy the very nun who held the visionary in her arms the day Sister Millie died to gain control of it. So, like so many other corrupt officials within our Church, the path of money is far more important to men like Burke than the path of Truth. That is why Louie has picked the correct photo of Burke with Cardinal ‘Bravo’ Dolan because these men are alike, wanting the power, the glory and the money that goes with their positions. The Truth is not what matters to them, but compromise at any cost, expect at the cost of not having to sacrifice anything that would hurt themselves temporally. When Truth is at stake, that is the only sacrifice they will make in compromising it. You’ve seen it with the other cardinals and bishops before; and, now, unfortunately, the hero you thought you had is also nothing but a compromiser. I’m sure many of you will be attacking me for this info and I will not respond as the facts are the facts. It is only because Burke’s true face is beginning to be exposed, thanks to people like Louie, that I bring these facts out as well. The answer to Louie’s question is Burke is not stupid. He is disoriented and God is allowing all to see the Truth shouted from the rooftops about Burke and from a hierarchy that has been betraying Him in the diabolical disorientation for more than 50 years. While we’re always wary of as-yet officially unapproved apparitions, we checked this out a bit, and found the fight isn’t about the legitimacy of the Apparitions, but over claims that a sister’s two “helpers” stole the property acquired by donations- to use in setting up their own foundations. The Helpers claim the property was stolen from the original order by the nun who last held it, based on the claim that their vow of poverty precluded it being willed to anyone and then removed. And the current poster claims C. Burke helped the “bad-guys” by declaring the nun in question, “no longer a nun or religious sister” when the only evidence we found says Burke is devoted to the Apparitions, personally and the Holy See issued the declaration. .. when its three surviving members incl. Sister Ephrem and Mary Joseph Therese, left the Congregation of the Precious Blood and formed “Contemplative Sisters of the Indwelling Trinity”, dedicated to promoting devotions to Our Lady of America, – operates out of Fostoria, Ohio. 2.-Sister Ephrem directed it until her death in 2000. She also founded Our Lady of America Center, registered in Ohio as a trade name and willed all her property to Sister Therese. (birth name- Patricia Fuller) who succeeded her. The property had been bought with money donated to the Contemplative Sisters or to the Center– things such as documents, a song, a painting, and sculpture, medallions, plaques, a statue of Our Lady of America. Sister Therese trade- marked a number of the artifacts. 3.- In 2005 Kevin McCarthy, a lawyer and Catholic layman, and Albert H. Langsenkamp, who claims to be a Papal Knight of the Holy Sepulcher,- offered to help her with the devotions. She accepted their offer and the three worked together until 2007, when they had a falling out that erupted the following year into this bitter lawsuit–over alleged (theft) of both physical and intellectual property, fraud, and defamation. Fuller vs the men. 4.– McCarthy argues that not only did he and Langsen- kamp not steal property of Fuller, but that the property in dispute belongs to the Congregation of the Sisters of the Precious Blood of Jesus because, among other things, having taken a vow of poverty Sister Ephrem did not own and so could not bequeath to Fuller any of the property in question. McCarthy can argue that Fuller’s charge that he stole from her fails because she was the thief. He contests the claim of defamation by denying (among other things) that he lied in saying Fuller is not a nun, WHICH could readily be understood to deny that she had any religious vocation whatsoever—and in fact McCarthy does deny this, and obtained from the Apostolic Nunciature of the Holy See a statement that Fuller is no longer either a nun or a religious sister. Wow, offhand it looks like two creepy greedy guys trying to rip off some nuns. But we’d like to hear Burke’s side of the story before condemning him for what the Holy See issued. p.s. to simeon, It’s too bad you dumped this here and declared you won’t answer any further questions, as if it’s all unquestionable dogma. That makes it harder to find the truth. Indignus: Since you are not attacking me (which is what I meant by my above statement), I will gladly respond to your desire to find the Truth (and, no, I do not have all the answers).. The court last month has issued a decree against Sister and awarded monetary damages to the plaintiffs. In this, let us ask some questions and apply them to the court documents you discovered: how can anyone claim they believe in the apparitions of one nun, Sister Mary Ephrem, while condemning the very one whose arms she died in? How does one obtain a statement from the Apostolic Nunciature regarding the status of Sister Mary Joseph Therese, claiming she is no longer a nun or religious sister while ignoring the simple fact that whatever claim is made against her must also then apply to her fellow Sister Mary Ephrem. Please note, it was not Sister Joseph who brought the lawsuit (or as the two like to call her, Patricia Fuller, thereby further denigrating her years as a religious living a life of celibacy with the visionary); indeed, she has had to defend herself against them in court at great personal cost (including almost dying and having heart surgery to survive). As for Sister, just like a certain bishop down South America way, when asked for an audience with Church officials regarding her situation, not a one would meet with her, including her bishop of the time, Leonard Blair. Instead, she was treated and judged worse than a homosexual with no mercy because donations speak louder than Truth to our hierarchy. The “falling out” as you call it, came when Sister discovered that the two wanted to take over the devotion and if she didn’t go along with it, they would use the “bomb” on her (i.e., excommunication, now a fait accompli). In regard to Burke, I sympathize with your desire to hear his side of the story. The problem is, do you really think you will hear the Truth? Or better yet, who do you think assisted in obtaining the Holy See’s declaration? Well, let’s see, a funny thing happened. The person who signed the declaration declaring Sister Joseph not to be a religious is an archbishop named Joseph Tobin, who did so in his capacity from the Vatican in June 2011. The strangest part that I can’t figure out is that in October 2012, he was appointed the new archbishop of Indianapolis, the very same city where a court has now ruled against Sister Joseph as well. Isn’t that where one of those rich guys live? We are not dealing with unquestionable dogma; we are dealing with the false face of one, Burke, who claims he supports the apparition at the behest of the two gentlemen in question, while he lets Sister dangle in the wind. But maybe that’s just me, you know thinking secret deals are being made and rewards handed out. And wouldn’t you know, how could Sister appeal to the new archbishop? Oh, and what societies do Tobin and Burke share? Ones involving canon law? At least you got the duplicity of statements by McCarthy vs. what he obtained from the Holy See. In reality, the answer is, as you state, two creepy guys with a lot of hierarchial muscle, trying to rip off some nuns. It’s not a pretty picture, and one the messenger usually gets killed for … . Let’s take an objective look at what you wrote here. If you can then answer the questions your statements raise, you will end with a far more convincing presentation. 1. What were the stated reasons the court found in favor of the two men and against the woman, and awarded monetary damages? Documents should be available. 2. The nun having the apparitions and her best friend are two different souls, so when you assume the goodness of one guarantees the goodness of the other, it makes you sound completely unrealistic. (there are many cases of religious evil-doers on file). 3. You falsely state that a statement from the Nunciature regarding the status of one sister, would automatically apply to the other. Only possibly. (Grounds needed). 5. The fact that she had heart problems and surgery during the years of the lawsuit, while it is distressing for her, again proves nothing of her guilt or innocence, but inidicates you wish to elicit sympathy for her. 6. The refusal by Church Officials to allow an audience is neither uncommon nor necessarily unjust, depending on who is officially handling the case-locally, and what has taken place regarding previous meeting/appeals, etc. (More facts needed.) The last Bishop of South America to lose his position and be replaced on orders of Pope Francis, said he was not given an audience or any information at the time, other than the announcement, so if this is true, she is not the first and likely not the last. 7. Your charge that “donations speak louder than Truth to our hierarchy” implies bribery to falsify Church documents-a serious one (not unheard of, but serious) with no proof or evidence provided. 8. You charge that “if they were not allowed to take over the devotion, she would be “excommunicated” –stranger still, unless she was in direct disobedience to her superiors on the matter. Again, proof? Documents? 9. Regarding Cardinal Burke, you again provide zero evidence, asking, “Who do you think assisted in obtaining the Holy See’s declaration? and then tell us the person who signed the declaration declaring Sister Joseph not to be a religious, is an archbishop named Joseph Tobin- Not Burke at all, indicating the charges against Burke are more pure speculation on your part. 11.Finally you charge Cardinal Burke with having a “false face -only claiming he supports the apparition” Judgment of his interior disposition as sinful. If justice was miscarried, and you want others to believe it, you need to provide the many missing pertinent facts for each of the above statements. As things are, we would have to declare Cardinal Burke the victim of a slanderous attack, if we were called upon to make a judgment on what you presented here. 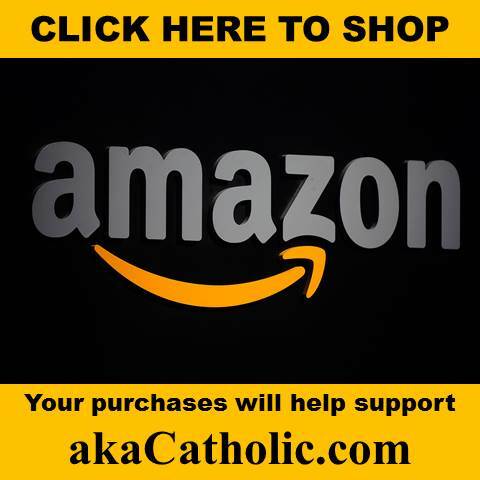 “But overall support for the man and his ministry is a different matter, which requires a judgment of whether he is trustworthy as a Catholic leader. It’s time for you to start answering your own questions and, if you care as you said earlier about the Truth, then do your own research. As I said, people like you will attack people like me under the guise of a “slanderous attack,” when, in reality, I am providing information on a shepherd who abetted the wolves as they devoured one of God’s sheep, an innocent bride of Christ. We meant and still mean, every word of the quote you just posted above. We spent a long time looking into Burke’s public statements and personal history, and found nothing but praise from all who have known him over many years, for his resisting the “perks” on his way up, and staying orthodox in his beliefs in every way. We are open to evidence that any of that is wrong or not the case at present. But nothing you presented here included a shred of evidence in that regard, so our opinion remains the same about Burke, and rightfully so without any reason to go looking for proof of your unsubstantiated assumptions. That burden lies on you, as you are the one slandering him with no evidence, and as a matter of moral justice, it is you who owe him those efforts, or a retraction. ..
We spent quite a lot of time reviewing the court case you brought up here, and then another good bit analyzing your statements as a kindness to help you understand how you could make them into something meaningful so they could be taken seriously. We made no judgment against your underlying contention that an injustice may have been done–even a grave one. And we are still open to that possibility. But this was your posting, not ours. If you’re a person who likes to fling damaging charges around and expects others to do your homework, for you, then all we can say is you need to do an examination of conscience, and place the blame for your feeling “attacked” on your mistaken notion of justice and your lack of personal responsibility..
We’ll sincerely pray for you, as we do for all the posters here. God Bless You. Berto Slomovicci is a fifth columnist jew trying to disrupt Catholic Traditionalism. Were you just attempting to illustrate our closing remark in the comment just above you, regarding people who like to fling damaging charges around with a mistaken notion of justice and lacking personal responsibility? Or do you expect the rest of the posters here on Louie’s blog, to ignore or oust someone you’ve singled out from among at least a dozen others who bring the same or in many cases more arguments into this forum where they have been welcomed by Mr. V, which challenge and threaten to disrupt the ongoing conversation. We, for two, are Faithful Catholics who have enjoyed conversing with Berto from time to time. If he’s playing games, as you seem to be saying, they’re not working very well, as our interchanges have only increased our knowledge of the Faith, enriched our source-bank, and challenged us to clarify our thoughts for better expression of them. We’re all adults here, who are not likely to be easily duped or persuaded by anyone. If you read the posts, you’ll see that. Louie has invited us to fraternal correction in charity, so you are free to address Berto on anything he says which you think requires that. But we ask that you please allow Louie’s open invitation to all, to go forward without any more of these unprovable accusations towards anonymous commenters, and let Mr. V decide when and if he wishes to moderate this forum . You can email him anytime. I’d like to see how he arrived at that conclusion, past simply reading Roman Watcher’s comment and maybe parroting it.